BlazBlue Cross Tag Battle open beta to simulcast in Japan and North America!! White Beard’s might is captured beautifully in highly detailed statue!! 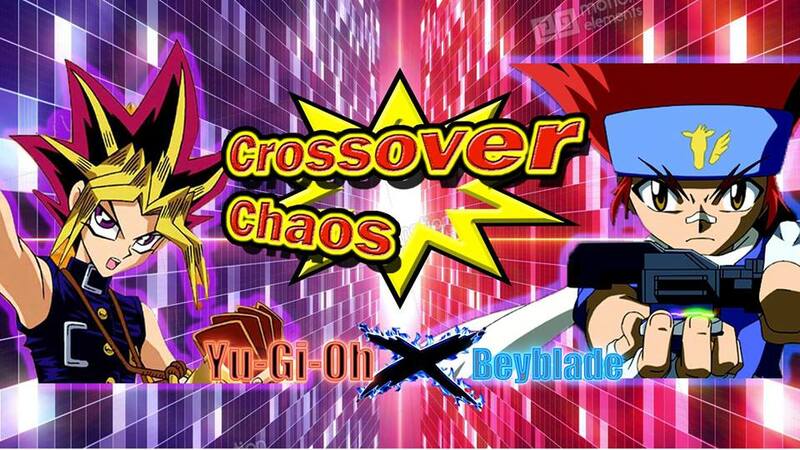 Yu-Gi-Oh X Beyblade Chapter 6 Pt 7!! Kenta, with his head hung low, walks over and picks up his Beyblade. Gingka, Benkei, Yu and Yugi hurry over to him. “I’m sorry, you guys,” he says solemnly. “Don’t worry about it, Kenta! You battled hard out there!” Benkei says with his usual enthusiasm. “Yeah, we’ll get her back for you!” Gingka added with a determined fist pump. Kenta smiles. “Okay,” he replies. Looking at Yugi, he can see the strong will and determination that has carried him through many Duel Monsters battles. Kenta believes that he will help rescue Madoka more than ever. “Uh, guys. Something’s happening to Kenchi,” Yu says. Benkei, Gingka and Yugi look at Kenta. It is then that they notice him beginning to fade away. “Hey, what’s going on? !” Benkei, worried and confused, says. “I don’t know! Hey Kenta!” Ginkga answered, also frightened for his friend’s well-being. “Kenta!” Yami Yugi quickly becomes worried as well. Kenta responds to them but no sound come from his mouth. Then, he vanishes in a blink. Yugi, Gingka, Yu and Benkei are left shock and bewildered. However, Yugi already knows what may have happened to Kenta. He whirls around to the barrier and there he sees Kenta inside. “Kenta? !” Madoka says, surprised to see him. “Madoka? !” Kenta responds in kind. “Osiris, what is the meaning of this? !” Yami Yugi demanded, glaring at the god. Osiris chuckles in his throat. “A penalty, my dear Pharaoh. Kenta Yumiya lost the battle and he has been removed from the field of play. Surely, you haven’t forgotten,” he says. “Huh? What did he mean by that, Yugi?” Gingka asked. Yami Yugi narrows his gaze at Osiris who stares back with a devious grin. Then he turns his attention to Gingka, Benkei and Yu. “Osiris is treating this like a Duel Monsters tournament,” he says. “Duel Monsters? You mean that weird game you told us about?” Yu replied with his usual straightforwardness. “Correct,” replies Yami Yugi. “The cards Azeem and I selected represented each member of both teams. In Duel Monsters, once a card has been defeated it is removed from the field. Take a look.” On his word, Gingka, Benkei and Yu turn their eyes to the large screen above Osiris. The card with Kenta’s picture is gone. “Wha…? That card with Kenta on it is gone? !” said a surprised Gingka. “Yes, removed from play, just as Osiris said,” Yami tells him. “Uh, Yugi, what happens when all the cards are gone?” asked Benkei. “When all the cards are gone, the player loses the duel,” Yami replies with a serious look. Benkei and Yu’s nerves are rattled. It doesn’t take them long to figure it out. If all of their cards are removed from play, they lose the battle. “Then all we gotta do is beat these guys and get our friends back!” Benkei bolstered, his confidence restored anew. “You bet we are!” Gingka replied. “Then let the next round begin.” With that, the next set of cards flip over, revealing Benkei and his opponent Odom. “So I got that guy, huh,” said Benkei. Rather than be intimidated, determination and confidence wells up from within him. “Well then, let’s do this!” Gingka and Yu cheer him on as he steps toward the stadium. Odom steps up to the stadium. Though Benkei is large himself, Odom nearly dwarfs him. The bronze colored man is built like a mountain. His imposing glare matched his equally imposing figure. Benkei gazes back fiercely. He thinks about Kenta and Madoka who are trapped by Odom’s master. He has to take this man down in order to get one step closer to getting them back. “That’s the guy that grabbed me!” Anzu says, pointing a finger. “Who, that big dude?” said Honda. “Yeah. When I was looking for you guys after I arrived here, that big creep grabbed me in the park,” Anzu tells them. “Yeah, I dropped it when that big goon grabbed me,” says Anzu. “And now he’s going up against Benkei,” Madoka said. Honda looks out at Benkei and Odom. From the corner of his eye, he sees a serious look on Jonouchi. They have been friends long enough for him to know that he has something on his mind. Honda asks Jonouchi. There is a brief pause before Jonouchi answers him. “Hey, that big cue ball over there remind you of anybody?” he asks. With a bewildered look, Honda peeks over at Odom. It takes a moment but he sees what Jonouchi is getting at. “Yeah, he kinda reminds me of Marik’s bodyguard Odian,” he says. “Now that you mention it, he kind of does,” Anzu chimed in, also looking at her captor. Madoka and Kenta look at each other in confusion. The mood has become serious, especially with Jonouchi. Could he be that worried for Yugi? Wondering, they decide to see if they can offer some support. “Hey Anzu, everything alright?” Madoka asks. “Who are Odian and Marik?” Kenta says. “In our world, there was this guy named Marik who wanted to power of the Pharaoh Spirit trapped inside Yugi’s Millennium Puzzle and Odian was Marik’s bodyguard. They were really strong Duelists,” Anzu tells them. “And this guy reminds you of him?” asks Madoka. “You don’t think it’s the same guy, do you?” Kenta wondered. “I don’t think so. It could just be a coincidence. But even though I’m in here, there something about this guy I don’t like. He’s giving off this vibe,” says Jonouchi. He gazes intensely at Odom. Looking into the man’s steely eyes, he gets a sense of unease. He then shifts his eyes to Benkei. “Your big pal out there. Benkei, was it? He’s pretty good, isn’t he?” Madoka tells him that Benkei is a good blader. Kenta back her up, saying that Benkei can win. However, Jonouchi is usually never wrong when it comes to going with his gut feelings. He doesn’t doubt Benkei’s skills. He may not even doubt that Benkei can win. But the one thing Jonouchi is sure of is that this will be a tough battle.